Need an Experienced Concrete Wall Sawing Contractor Near Norman, OK? Big Dog Concrete Cutting is the leading concrete wall sawing contractor serving the entire state of Oklahoma. We employ advanced, precision diamond saws to achieve industry-leading accuracy in cuts on concrete walls and other vertical surfaces. Our experienced operators work routinely with concrete and masonry surfaces, so we’re confident that regardless of your structure’s composition, our team can handle your project with speed and efficiency. We can create fixture-ready openings, achieve smooth straight cuts, perform bevel and flush cutting, and work on foundations or even large-scale features like dams and bridge decks. We keep our hydraulic equipment and specialized saws in work-ready condition at all times to provide unmatched, 24-7 service to our valued clientele. Although we work throughout the state of Oklahoma, our concrete wall sawing crews can regularly be found in areas like Oklahoma City, Tulsa, Ada, Durant, Lexington, Ardmore, Lawton, Norman, and beyond. We are a leading concrete wall sawing contractor in the state of Oklahoma. Our operators have the training, experience, and familiarity needed to serve a diverse set of concrete cutting needs. Whether you need specialized residential or commercial concrete sawing services, Big Dog Concrete Cutting is ready to handle the job. 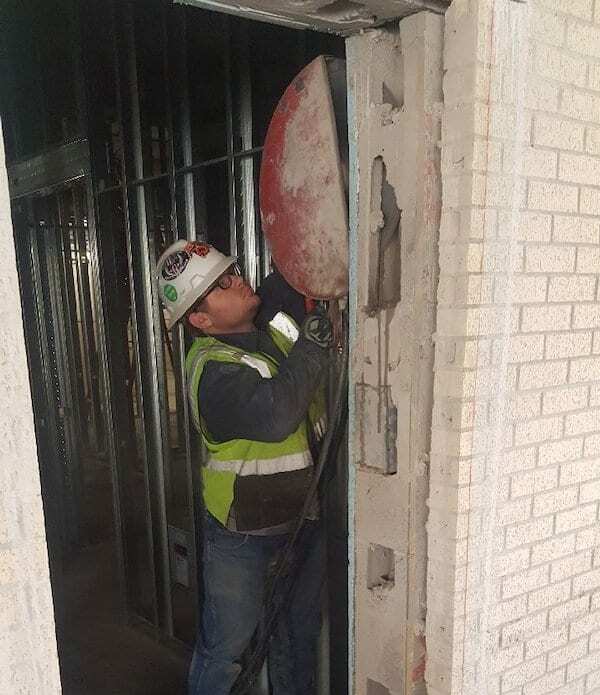 Big Dog Concrete Cutting Inc. is a concrete wall sawing contractor offering slab sawing, core drilling, robotic demolition, and more to Norman, Oklahoma City, Lawton, Ardmore, Ada, Tulsa, Durant, Lexington, and surrounding OK communities.